Ross Township is a Pittsburgh suburb that lies in between the City of Pittsburgh and northern suburbs including McCandless, Hampton, and Shaler Townships. Ross receives an overall niche.com grade of A for its public schools, housing, family life, and nightlife. With a population of just over 31,000, the township has a median home value of $162,600 and the majority of residents own their homes. While shopping opportunities abound up and down McKnight Road, Ross’s quiet neighborhoods and low crime rates attract families—and become lifelong homes for people who love the tightly-knit community. Students attend North Hills School District, ranked the #8 best district in the Pittsburgh area. The district received As or A+s from niche.com for academics, teachers, clubs and activities, college prep, and health and safety. The list of stores, shops, and restaurants in Ross Township is extensive—the township is home to Ross Park Mall, North Hills Village Mall, The Block Northway, and many small plazas. We love to try some not-so-common dishes at restaurants including Aladdin’s Eatery, Sesame Inn, Red Orchid, and Taj Mahal. The township is also committed to sustainability and has created an integrated approach to addressing economy, environment, and society. There are many opportunities for community members to take classes on a variety of subjects–a full catalog of classes for the community is available on the township’s website. 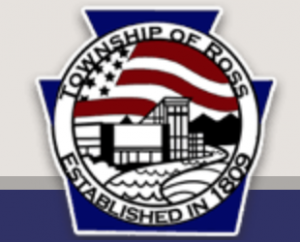 Ross Township has all of the amenities (and more!) of the suburbs further north—and many homes are less expensive than those in neighboring communities. If you’re looking for a home in the North Hills of Pittsburgh, contact us and we’ll introduce you to all that Ross Township has to offer.